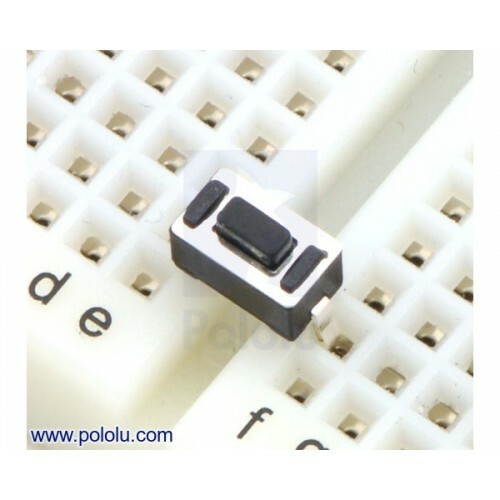 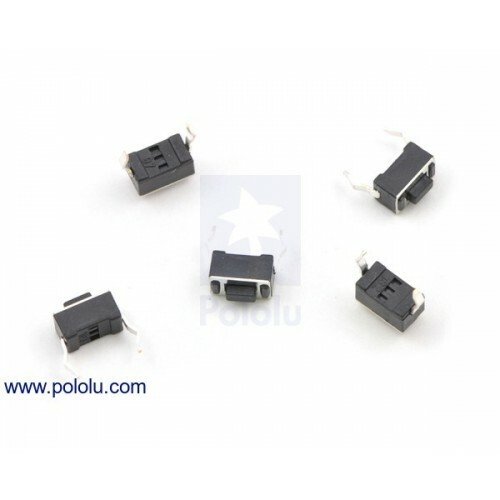 Dimensions (in mm) of mini pushbutton switch: PCB-mount, 2-pin, SPST, 50mA. 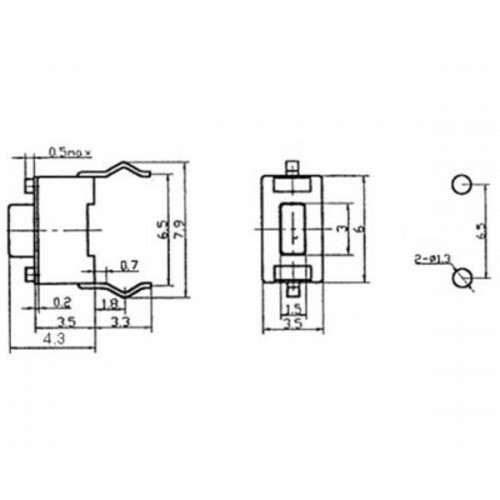 Note: High-volume orders of this product might be partially or fully shipped in bulk packaging rather than individually packaged groups of five buttons. Please contact us if you do not want your order shipped with bulk packaging.